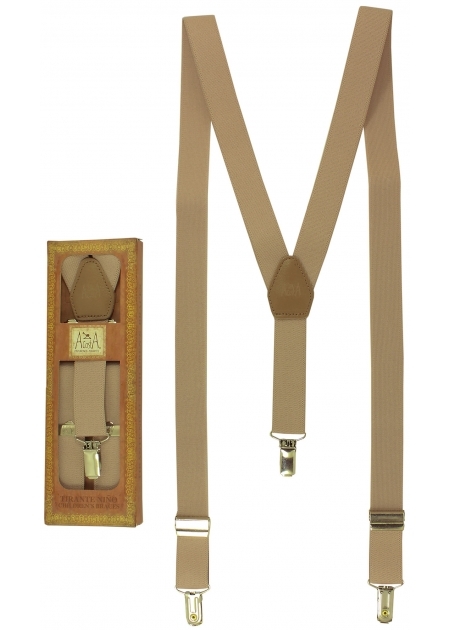 Premium quality children's braces in light brown. Hand made in Spain and adjustable with metal clips to suit different height upto 5 feet 4 inches/165cm (About 13 years). The braces comes in a box to allow it to be stored away after use to help prevent the elastic from degrading over time.